Sugarmill Woods... A Pristine Playground! 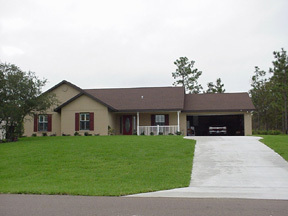 Originally planned in 1972, Sugarmill Woods is one of the most unique and fast growing areas in Citrus County. 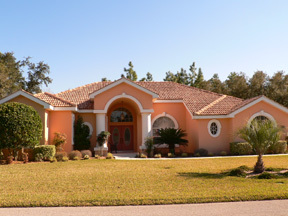 Located at the southern end of Citrus County in the town of Homosassa, Sugarmill Woods is only about 63 miles from the hustle and bustle of the greater Tampa Bay area and about 75 miles from the Orlando area making it real choice for commuters tired of the city life. Sugarmill Woods gets its name from the Yulee Sugarmill, a sugar cane processing facility during the civil war era. Ruins of the old stone mill attract visitors from around the world. The community of Sugarmill Woods was designed with nature in mind. Each lot backs up to a slice of the "green belt", a preserved piece of the native trees and plants that were there when the development was planned. So instead of looking out your back window at your neighbor’s backyard, you might see a fox or gray heron instead. Many of the lots back right up to the golf course. The golf courses are equally impressive and also designed to follow the natural surroundings. There are 45 holes including an 18-hole tournament course designed buy US Open Champ, Hale Irwin, a luxurious 9,000 sq. 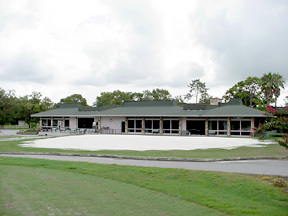 ft. clubhouse with tennis courts, a pro shop and the Fairway-View restaurant. Occupying approximately 6,000 acres, Sugarmill Woods consists of three neighborhoods, Cypress Village, Oak Village and Southern Woods. Each area has its own unique personality. Majestic pines, moss covered oaks, rolling hills and blue skies only begin to describe the communities of Sugarmill Woods. 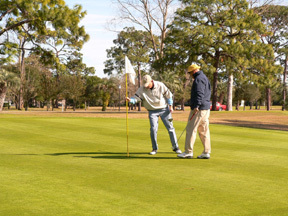 Whether you love golfing, fishing, boating or just being able to take a stroll down the street surrounded by nature, Sugarmill Woods does not disappoint. World record tarpon have been caught here just off the coast. The Homosassa Springs Wildlife Park with the Homosassa River and its famous native Florida Manatee population are just up the street. And the area known as "Old Homosassa" just past the old Yulee Sugarmill ruins is one of the most colorful areas for meeting locals around. Dive and snorkel shops offering manatee tours and boat rental are plentiful. The Homosassa Riverside Resort and MacRae's offer accommodations as well as fresh seafood dining at restaurants with exotic names like, The Monkey Bar, The Yardarm, and Crab House. And if you’re in town don't miss the famous Homosassa Seafood Festival. Sugarmill Woods has a lot going for it, the proximity to major metropolitan areas, the unique blending of homes with the natural environment as well as its reputation as a pristine and meticulously manicured community. 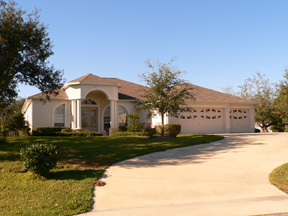 Also the limited number of homes and lots make it a highly desirable area to live. There are still plenty of lots available if you are looking to build your dream home and resales are always brisk in Sugarmill Woods. Let Lucy get a jump on your Sugarmill Woods home search.